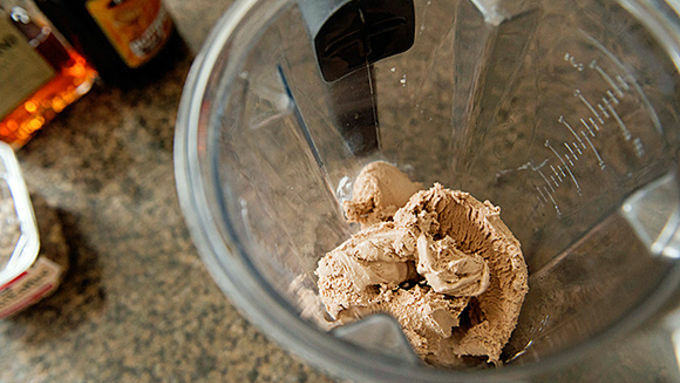 Put ice cream, buttershots, amaretto, and buttercrunch (leave a bit behind for garnish) in a blender. Blend until smooth. 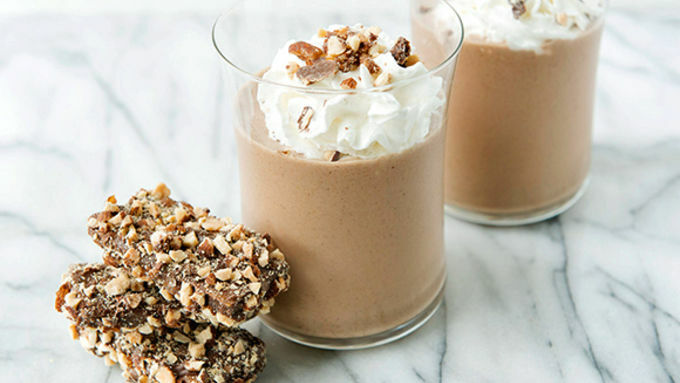 Pour into 2 glasses and garnish with whipped cream and reserved buttercrunch. Buttercrunch is one of my all-time favorite candies. You know what I am talking about, right? Crunchy toffee, coated with chocolate, and rolled in almonds? So. Good. Need. Some. Now. I recently have discovered that I like to serve adult milkshakes for dessert at my dinner parties. When I place a cute little milkshake in front of a dinner guest, they get excited, but when they taste it, they go nuts. Their minds are blown. They are not expecting a dessert and cocktail in one. I have a little secret. It is the secret that makes my milkshakes so awesome. You ready? I don’t use any milk. I use booze instead. Seriously, it is just about the best thing on the planet. I have made many milkshake versions of my cocktails and now I am sharing a buttercrunch version with you. 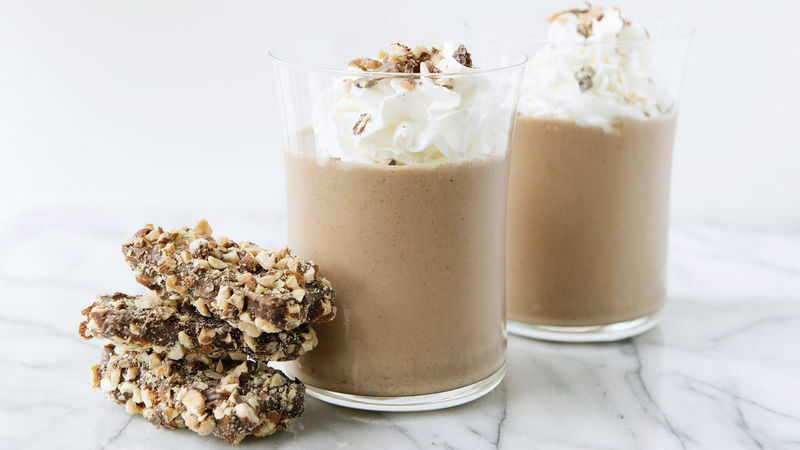 This Buttercrunch Milkshake also takes about 5 minutes to make. And that is if you are moving kind of slow. Perfect for a party. Dessert and cocktail in one!